A couple of years ago, I decided to make the day before Mother’s Day my own personal day. I’ve decided to call it My Other’s Day instead of Not a Mother Day. My Other’s Day has a more positive ring to it don’t ya think? 🙂 I realized quite some time ago that as a childless woman there is no celebration for me or those who are like me. 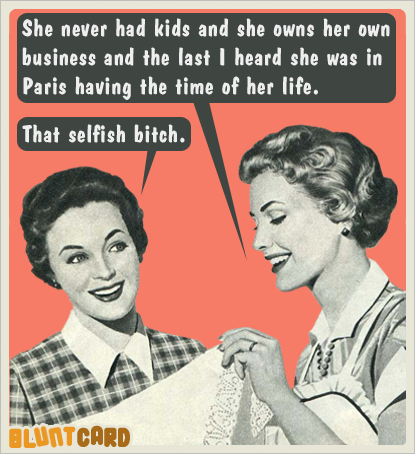 Childless women nurture the world by giving of their time and energy. We are the ones who pick up the slack, drive sick friends to appointments, rescue those in need, volunteer at various charities and organizations, answer the phone calls in the middle of the night, take the nieces and nephews to give the parents a much needed break. We are the confidants, the ones who can be trusted to show up when no one else is able. We stand in when a “Mom” is needed and the biological one is unable to be present (these are the moments we treasure). We are the friends you can always count on. And we still show up to help the Mother’s in our lives celebrate the children they were blessed with. We like the countless Facebook photos of cute babies and kids that Mom’s proudly post. We, celebrate birthdays, births, and milestones. We spend hundreds of dollars a year on gifts for the precious children that are not our own. And we love each and every one of those children with our whole hearts. We really get how special and important they are! Women who are childless not by choice are sacred beings. We give of the time we have that is not filled with caring for children without asking for acknowledgement, gifts, or praise. To all of my sisters who did not get to be mothers: take today and acknowledge yourself. Do something nice for yourself. The world could not function without the contributions you make. And please know how very special and important you are to me! 2014: The Year of Awesome! Yet, I did not “go to the dark side”. I took the advice of the woman I do spiritual work with and I delved deeper into my spirituality. I started meditating upon awaking in the morning. This act alone has changed my life in the most profound ways. I will graduate with honors. I also feel like my relationships have become stronger. I don’t take things personally nearly as often. I love my darling John more deeply every day. I am able to allow him to be who he is without wanting him to be any other way. While John and I were driving home from celebrating a friend’s birthday this evening I was struck by how profoundly happy I am. I had an epiphany: I could not have the serenity that I have or the relationships that I have currently without the experience of losing my marriage and not getting to have a child. This truth reaches deep into my core. Have I become childless by choice? Or am I still childless by circumstance? The answer is: I am both. I will forever grieve the child I did not have and I am grateful that my life is mine to live as I choose without the burden of taking care of a little person. I have learned that nothing in this world fits neatly into a category least of all feelings. Life is a great paradox. I have no idea what 2015 will bring. I no longer have a plan. I hope to find a job in my field, finish the rough draft of the first book in the trilogy I am writing, and spend a lot more time with my loved ones. At the age of 46, my life is just beginning. I hope everyone has a year filled with blessings and joy! When I decided to let go of the dream of motherhood I was tired. I was tired of grieving the loss of a person who had never existed. I was tired of searching for someone who understood what I was experiencing. Most of all, I was tired of spending so much of my time being depressed. I was unclear about a lot of things but there was one thing that I was very clear about: I was not given this precious gift of life to be miserable. When I decided to let go, I prayed to my higher power, who is Kwan Yin the mother of mercy and compassion, every day. I gave her my sorrow and I waited for what she had in store. What unfolded was extraordinary. 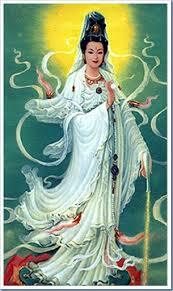 Kwan Yin is the popular bodhisattva prophet whom childless women turn for help. Some other spiritual work that I had been doing led me to a woman who had experienced infertility for years before she was finally able to conceive her son. I found Lisa Manterfield and her amazing web site and book. I took the Road Map to Healing course that she offered. Lisa describes exactly what it is like to let go of the dream. I cannot begin to describe how it felt to know that there were other women who shared my experience. I was not alone. 1)	There are a lot of women who are childless in the world. 2)	Society places a great deal of pressure on women to be wives, mothers, and successful in a career. 3)	This pressure is a huge problem for women. It causes women to feel as if they can never measure up. 4)	Women have to decide for themselves what their value is. Society’s “norm” is unrealistic for many women. I have decided that my value lies in my ability to be of service to others, in my writing, and in living an authentic life. It may not be a “normal” life but, it is mine!